Appealing and sophisticated-looking, post and panel systems are effective for wayfinding signs. As a business owner, you are aware of how important it is to use commercial signage to help draw more customers to your business and allow existing customers to easily recognize your location. If you have been struggling to decide on the best way to use commercial signage to achieve these benefits, then consider using post and panel systems. Relatively easy to install and available in custom designs to match the style and look of your brand, learn more about why post and panel systems are a great option for attracting more passersby to your business and increasing the visibility of your location. 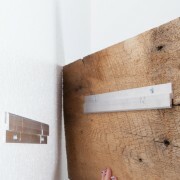 The primary benefit using a post and panel system is to help your business stand out from other businesses in the area. Post and panel sign systems can be used either in inside your property or outside where people passing by will be able to see it. Using a quality, attractive sign outside, people passing by will be drawn to your business. 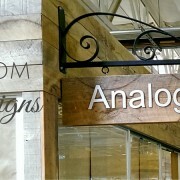 Use your custom sign to help bring in more customers, the more ornate the more attention it draws. 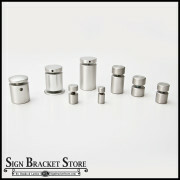 When having a custom post and panel system created, you can display signage that matches your existing brand identity. This provides the perfect option for showing your company name, logo, as well as contact information, so that your customers will have no problem locating your business. 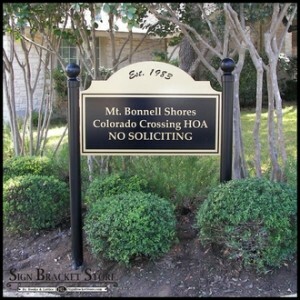 This lets your clients know that they are in the right place. 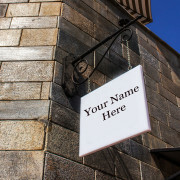 Having custom signage outside of your building will also help build brand awareness and promotes your brand identity. 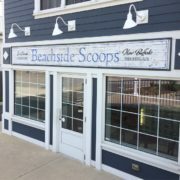 Proudly display your company logo and match the style and color of your sign to your brand’s design to help potential customers remember your business. Additional accessories can be added to your post and panel systems such as the Ball Finials as shown to give it a more upscale appearance. By using a decorative iron post and panel system indoors, you can help your customers find their way to specific offices. You may notice these being used in many office settings or in large buildings with multiple businesses. This is especially helpful for new customers or clients that have never visited your location before. Having custom post and panel signage designed for your business may be more affordable than you imagine. 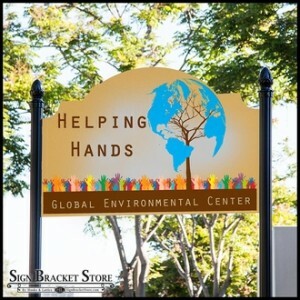 From metal signs to PVC signage, we offer a large range of affordable options. Additionally, you will find that we have various add-ons and features that you can add to your sign to help make it more appealing and attractive. 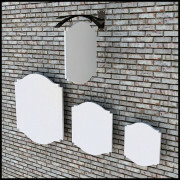 Consider adding pockets for brochures, post toppers, or even lighting to help illuminate your sign during the nighttime. If you want to help increase the awareness of your business, build your brand identity, and help customers locate your business, then consider getting custom post and panel systems today. Get a hold of us to begin discussing your available options and set up a one on one consultation. French Cleats - Hang Nearly Anything!